A few weeks ago, I had lunch with the new priest of our neighbor Roman Catholic church – also St. George’s. It was a good meeting and we shared a worthwhile conversation. What impressed me most of all was his deep faith and sense of God’s call. For him, it’s a call that came in his 20s – while he had already studied pre-med in California – and not one without demands and limitations. “You have the sacraments?” he asked. It’s hard to find balance in life because we are often tossed to and fro between various responsibilities and opportunities and choices and challenges. In classical teaching, those are cares and occupations. The Christian church has often suggested the concept of vocation as one way to resolve this tension – that vocation is who you are (theologian Frederick Buechner suggested that ‘vocation is where our greatest passion meets the world’s greatest need’). The argument goes that your vocation, then, should guide your life’s choices and inform your occupation, being defined as merely what you do. I think, for this reason, many are attracted to the religious life, in part because it seems so peaceable and serene and marked by prayer and solitude and scripture study. Plus, priests seem only to work one day a week – a joke that’s not always a joke – and your priest shows up to your family reunions and friendly gatherings and takes part in your life’s celebrations, such as baptisms and weddings, and your life’s most fragile moments, such as funerals. In many ways, inasmuch as the concept of vocation is appealing, the fact is that the priesthood – as well as other vocations in the church – seem to be the last clear-cut ‘vocation’ around. In this, the Christian church has done itself a disservice. All of us balance multiple vocations, not just a cornucopia of cares and occupations. Even celibate clergy have other callings; my neighbor and colleague is still vocationally a son to his parents and a brother to his siblings. Likewise, there’s no dissonance between my vocation as Carter’s father and that as priest of the church. This is not to say there aren’t tensions and times when one gets greater stress or needs to come into better balance with the others. This is to say, however, that a life that seems all too clean and pure, as if there is only one vocation, one guiding principle, is probably not real and, if one is trying to live life that way, it will only end badly. Lucky for us, we have a plethora of examples of lives lived well and fully and lives lived only halfway. In fact, we have more of the latter than the former, but even in that imbalance is the call to find a more wholesome middle. For starters, when God came among us in the person of Jesus he became the only one who lived wholly as one integrated person, at union with God and with himself. God did this in the person of Jesus because, well, God is God and only God is at perfect union with Godself and God’s creation. We who live on the other side of perfection are not able to fully replicate such balance, a fact which reminds me that Christ is not so much a model, nor an exemplar, but rather an eschatological hope, a promise of who we will ultimately become. That’s why we get into a bit of trouble, then, when we turn God’s action and our hope for the life of the world into our action and God’s hope for the life of the world. There’s a story told around here of the Roman priest who, several years ago, was transferred from his parish in another part of St. Mary’s County to a new pastorate in the Archdiocese of Washington. He was a good and faithful priest, beloved by many, and he was ready to follow the Cardinal’s orders but also upset. In his mind and according to many who knew him, he was prepared to die as the pastor of that congregation – at the ripe age of somewhere in his late 40s – and he was miffed that God hadn’t taken his life just yet! Turning Jesus into a model of what ministry and vocation should look like in this world, on our part, is a highly dangerous thing. We, unlike Christ, are profoundly unable to sustain the fullness of the union between God and world, the balance among God and self and neighbor, the creative tension between an absolute love and convicting judgment. In our own Anglican tradition, George Herbert is the one shimmering and, equally, dangerous beacon of this all-or-nothing stance. I’ve written elsewhere of the unhealthy patterns we’ve established by reading backward into Herbert’s life the countours of his poetry and prose, and I maintain, along with Justin Lewis-Anthony’s poignant contribution, If you meet George Herbert on the road, kill him (subtitle: ‘Radically Re-Thinking Priestly Ministry’), that George Herbert, at least the peaceable country vicar Herbert we’ve created posthumously, is not a sufficient nor a healthy model for the priesthood, not in the 21st century, neither in his native 17th. I am a huge George Herbert fan, don’t get me wrong; I love his penetrating religious poetry and moving prose and I’m attracted very much to his story. At the same time, there is a greater deal of complexity in the actual man than we’ve allowed to surface and, at once, a truly dangerous tendency in him toward an extremist, all-consuming determination, couched in pietistic language and single-minded vocational certainty. A balance to such extremism, in our tradition, is John Donne, whose feast day is today, March 31 (the day he died in 1631). An elder contemporary and, at times, mentor and guide to the aspiring young George Herbert, John Donne’s path is similar in many ways to his younger fellow priest but markedly different. Where it differs, there’s a notable level of health and wholeness, at least of balance. I’ll be honest that I’m not such a fan of Donne, at least not as much as Hebert, at least not in the literary sense. I am, from time to time, moved by the stirring metaphysics, indeed sacrament of language Donne crafts but, unlike Herbert’s apparently natural gift, Donne seems to work awfully hard at it; the mechanics are too obvious and the not un-occasional stretches clunky, forced. More than a comment on his reception among literary communities, this vacillation has as much to do with Donne’s own life, and the hard choices and rather circuitous path he took. His early years were spent choosing between his ancestral Catholicism and the Church of England which, obviously, he went on to join, but not without losing some family members and friends, some to the bloody siege of those violent times. His intellectual and literary gifts earned him access to good schools and desirable positions in civil service. But in 1602 he lost his job as secretary to Sir Thomas Egerton, the lord keeper of England – a result of his secret marriage to Anne, the young daughter of one of Egerton’s relatives. Even though he would become the father of twelve children in sixteen years of marriage, Donne did not find regular, paid employment until he was ordained a dozen years later. Instead, we find in Donne’s earlier years a vast collection of passionate love poems, many quite good and now famous, and, in the middle years of his marriage, verse and prose written to several benefactors and friends who provided for the growing Donne brood – among them, Lady Herbert, George’s mother. Donne exercised his wit and intellect in countless genres in these years, no doubt the expression of his searching and wondering mind. There was satire and theology, love poetry and scores of letters, prose and epigrams and sonnets – all a working-out of a long vocational journey. 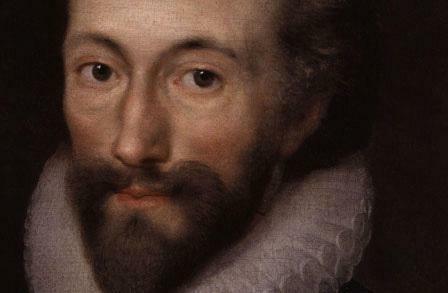 When we think of John Donne, today, many may think of the erudite and well-known preacher and Dean of St. Paul’s – the great success he went on to enjoy in the last decades of his life. But focusing too much on that ending, alone, would only blur the long journey and overlook the searching back-and-forth of the man himself. Or, conversely, he may be compared too much with his contemporary, George Herbert, perhaps (in my opinion at least) a better poet and more compelling read, but one who threw himself over to the grip of a single-minded imbalance and exhausted himself, serving barely three years until his untimely death as rector of Bemerton. Does John Donne look more worldly, less holy next to George Herbert? Does Donne’s long religious searching and spiritual journey, his bouncing between those many and, at times, conflicting roles of devoted husband and aspiring socialite, priest and man of the world, father and scholar make his priestly vocation seem any more or less a retreat from the world, or his long life’s story more or less a working-out of holiness and sanctification? Does worldly success run contrary to the Gospel of Jesus? Does a pursuit of simplicity and relative poverty mean therefore, that it’s either God or the world? Does an invitation to try new things mean we must cut off the old? Does vocation grow, in time, and do new vocations also emerge? In his poem, printed in full below, “To Mr. Tilman after he had taken orders,” Donne reminds Mr. Tilman, apparently, and us that “Thou art the same materials, as before” and that only the image, not the substance of “God’s old Image by Creation” is changed to “Christ’s new stamp.” That at every stage in life we have the opportunity to realize there is a fullness in our story, which is hardly as long as God’s own hope for us and for the world. That opportunity is not necessarily to know or achieve or ‘get there’, but to be and keep becoming, to progress and keep growing, to emerge as a child of the living God. I don’t suspect that God is calling us to one thing and one thing only, whether it’s a job or a place or a community or an entire lifestyle. Rather, I suspect that God is inviting us, sometimes challenging us to find in life a more wholesome balance, a middle way so we, too, might catch a glimpse in this world of that eschatological hope in the next. Touch’d with a loadstone, dost new motions feel? Of noble goods, and with less time and pain? Only the stamp is changèd, but no more. Art thou new feather’d with celestial love? What thy advantage is above, below. That gentry should join families with it? In dressing, mistressing and compliment. But go thou on, and pity their neglect. Ambassador to God, and destiny? Than kings give dignities? to keep heaven’s door ? And bless the poor beneath, the lame, the weak. Bring man to heaven, and heaven again to man? And make thee now a blest hermaphrodite. Donne, John. Poems of John Donne, vol I. E. K. Chambers, ed. (London: Lawrence & Bullen, 1896.) 191-193. In the annals of the church of my youth there was a great pastor who served for nearly three decades. He was renowned in the community and his sermons, legend has it, filled the pews, so much so they needed to build a larger church. The new edifice went up next to the existing building. It was a grand space, a long nave with a skinny chancel and grand pulpit. With regard to the particular functioning of this pastor, the new building featured two notable elements – the first, an expansive pastor’s study replete with fireplace, leaded-glass windows and balcony, located high up in the tower and only accessible via a steep staircase, so high that, obviously, accessibility and pastoral calls were not highly regarded. The second was an idyllic courtyard carved out of the space between the two buildings and which the congregation came to call ‘the garth’, itself a lovely, archaic phrase. This pastor, Dr. McGee was his name, wrote poems, too. The only poem I can recall was about the Garth Garden, how much he loved the simple, solemn quietude of a space set apart which featured, in his time, a bubbling fountain in its midst. To me, nowadays, his sermons aren’t particularly compelling — they express the best of 1920s liberal Protestantism with snippets of bible verses thrown in. His poems, even the one about the garth, weren’t altogether timeless either. But that didn’t matter, not at the time nor in the decades which followed. It wasn’t what he wrote or said. It was the feeling and, in particular, the associations folks added to those feelings which mattered, and which have made Dr. McGee’s words into phrases which seem to reside, for some among the congregation, among the classics. Distortions can all too easily morph into delusions which, over time, become distractions. 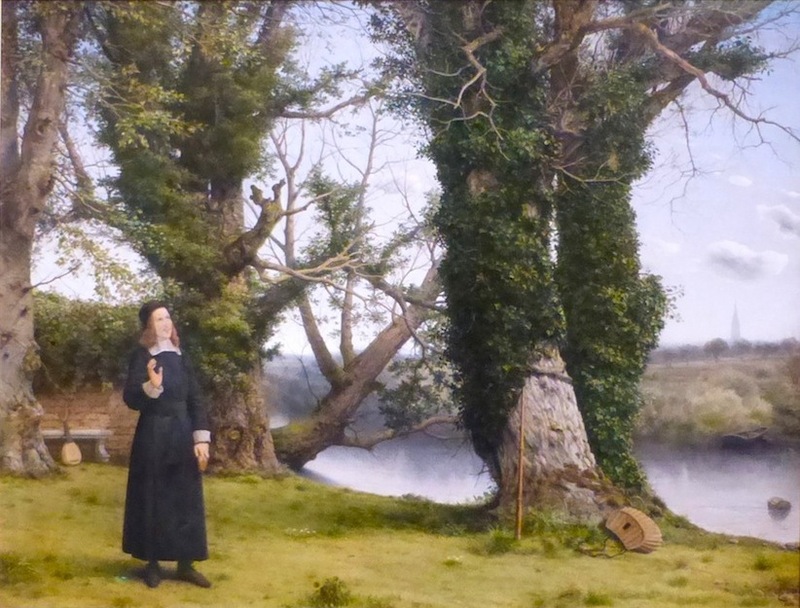 I don’t know when I first came across George Herbert, the seventeenth-century English priest and poet who truly belongs among the classics, but when I did I stayed or tried to stay, to breathe his air, to remain. There’s something that seems pure in The Country Parson, Herbert’s description of the life and character of a country priest, living out one’s vocation in a little village, taking pride in the routine acts of daily prayer, serving the common person, taking rest as the fire crackles in the vicarage hearth at the close of day. A poet as well, Herbert is responsible for a collection of penetrating verse, The Temple. Beware the delusion, however. We draw too closely a connection between a quiet, country life and the ability to think deep thoughts, to write lasting words. We, the reader, make the link between Herbert’s verse and text back to Herbert’s life. This is as true for lovers of George Herbert or those fond of Dr. McGee as it is for the wider television audience of Downton Abbey or those who remember the Vicar of Dibley or wish for the simpler antics of Fr. Tim in the Mitford series. Of course, anyone who’s actually read Herbert’s Country Parson is aware that I’ve painted pictures of a simple, bucolic life which is, frankly, nowhere found in his actual text, a piece of writing, it should be added, which is something of a laborious list of duties and pietistic expectations. I’m sure life in Downton Castle, itself, wouldn’t have been as romantic as we’d like to think in our daydreaming. Maybe it’s limited to Anglo-philes, not to mention the entirely strange caste called Episcopal clergy, but George Herbert has long exerted a real influence. In the summer of 2004, I closed the chapter on a life in Chicago, a life I had come to treasure and enjoy, taking pleasure in that great city’s many cosmopolitan offerings. Off I went to the Virginia Theological Seminary to do my one-year Anglican ‘dip’, as it’s been called. A part of me (or was it my bishop?) told me that I was coming back to Chicago at the end of that year. I could have a wonderful, formative time but I wasn’t there to plant roots. When the time came, early on, to choose which parish I’d work at as seminarian for the year, I resisted the advice of most folks who told me to go across the river to Washington, DC, find an urban congregation and connect there. That’s what I’ll be doing when I go back to Chicago, they reasoned. That’s what I’ll be doing when I go back to Chicago, I heard, so maybe there’s something else. I had spent a week before the beginning of the academic year with my aunt and uncle in St. Mary’s County, Maryland, the birthplace of the colony, locals are quick to say, but which is known by anyone who knows of St. Mary’s as the southernmost tip of the rural portion of the state known as southern Maryland. For that week under the hot August sun, I helped my uncle harvest grapes in his vineyard and, as the day closed, we sat under a great shade tree and drank wine and ate figs, hardly a noise to be heard except the crickets, no such thing as a traffic light, only the lush colors of a sunset and the brilliant nighttime stars and moonlight. On Sunday, I ventured with them to the Episcopal chapel which has been their worshiping community as long as they lived there and which, together with its parish church up the road, has served that community for centuries, pretty much ever since Europeans stepped onto the shores of this part of the continent, back in 1634. “That’s where I’d like to spend this year,” I told the seminary’s director of field education. He thought I was crazy, wanting to drive more than seventy miles one way to my field education site, but he let me do it nevertheless. And thus began a year of leaving the busy-ness of northern Virginia and the insularity of a seminary community and hopping in my car on Saturday mornings to drive down and spend a weekend in the country. It was election season, as I remember, and the Kerry/Edwards signs which populated northern Virginia turned, in time, to a greater preponderance of Bush/Cheney signs once you got past the Washington, DC metro area. What I found in St. Mary’s Chapel and Trinity Episcopal Church, St. Mary’s City, however, was in fact a wonderful cobbling together of diverse people – watermen and farmers worshiping next to professors and defense contractors, those who came here recently kneeling at the same altar rail as those who can trace their family’s lineage back to the original settlers, just as countless generations of people had done in a colonial parish which feels, to us Americans, almost ancient. True to his word, the parish priest who was, for that year, my mentor (and is now my friend), let me do almost anything and everything I could think of, which is when I also learned the truth underneath George Herbert’s Country Parson – that in a country parish you do have the opportunity and, indeed, challenge of being involved in just about everything: you’re not only the chaplain and liturgical functionary who works in the church; you wear a lot of other hats. You’re the closest thing many families have to a commonly-agreed-upon counselor in times of dispute or need; you’re a fixture at family parties and reunions; you are known throughout the community, even when you don’t wear your collar; you have a public role and, in time, you’ll bless everything from pets to yachts to vineyards to fire trucks. You are a public person which is the very origin of the term parson. For me, it was a year rich in learning and formation, a profound and eye-opening year. At the end of that academic year, not even nine months after I first stumbled upon St. Mary’s County, I packed my bags once again and headed back to Chicago. I’d been called to serve as curate at a large urban parish, a call I was not only looking forward to but, quite honestly, a type of vocation – curate, then rector of a city parish, then who knows what – I thought I was going to be engaged in for the rest of my life. Looking backward on my life I may have a different perspective but back then, while a curate, I was enjoying a great mentoring program but I was, as I probably told people at the time, bored. My duties were primarily functional and limited (I was only a curate, after all) and, as is often the case, I was doted upon by some within the congregation and held up as one who could do no wrong (I wasn’t the rector, after all). I wanted more and, yet, I also wanted less. I felt disconnected from the ground of that place’s being, divorced from the ground of my own priestly being, too, so haughty did I become when first ordained. In the back of my mind, I kept returning to George Herbert or, in truth, what I thought was the call of a simple, peaceful, holy, country life. Thus it was that the celebration of my time as curate was also my sending forth to a little country parish, nestled within the hills and valleys of St. Mary’s County, Maryland. A compelling and, yes, snarky book! The layers of associations we’ve lumped onto figures such as George Herbert are a palpable force and, on some level, a siren song. This needs to be admitted. This needs to be dealt with, along with some intense denominational therapy, I’d say. 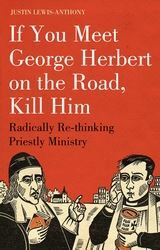 In his compelling 2009 book, If You Meet George Herbert on the Road, Kill Him, Justin Lewis-Anthony makes the point that we’ve vaulted an image, no less a graven image of George Herbert, not the real deal. “Herbert has been, and continues to be, used as an exemplar, the exemplar for the English parson,” Lewis-Anthony writes. “Whether you are High Church, Low Church, Evangelical, Charismatic, whatever, Herbert is portrayed as the prototype of the pastor, teacher, almoner, negotiator, gentleman, scholar. He is Ur-Vicar, the Echt-Rector.” Further, though he was relatively unpublished in his brief lifetime, George Herbert’s fame not only grew posthumously (Lewis-Anthony: “this has always been the fast-track to canonization in the folk religion of the Church of England”) but the myth of Herbert became established lore, most interestingly, when Anglicanism was trying to find its distinct voice. In times of conflict, uncertainty, distraction, confusion, and the feeling that we are far from the ground of our being, we yearn for simplicity, purity, holiness. Often, in such moments, we find George Herbert or, rather, who we’ve turned him into. Having served as a country parson for nearly six years now, I can report there is no idyllic ‘Bemerton parish’. There’s hard work and struggle, with enough silver linings to remind me why God is calling me here. There’s confusion and disorder and uncertainty, graced by moments of pure bliss in which I have, literally, felt God’s presence. There’s frustration and ego and pride which sneaks in, more often than I care to admit, and, at the close of most days, a true delight in simplicity. I knew something was up when, following one particularly contentious Vestry meeting early in my time, I woke in the middle of the night and couldn’t get back to sleep, so nagging on my soul was that one person and her downright stubbornness. Never before moving here had I ever awoken in the middle of the night. Never. When a friend asked about the differences between a large, urban congregation and this smaller, country parish, I shared what was, at the time, an astonishing realization – that the issues between the two contexts were eerily similar, if not entirely the same. “That’s probably true,” she said to me, adding: “I’d guess that when you went from a larger church to a smaller one what you really traded was quantity for intimacy.” Intimacy is a two-edged sword. When intimately connected, as we are in small communities and country parishes, you love deeply and you fight powerfully. In this place, I’ve suffered – and suffered publicly, out in the open, at that. I’ve experienced crushing defeat and loss and, along with it, piercing shame and guilt. In this place, too, I’ve celebrated growth and witnessed depth, such things which only point to the authorship of a vibrant, living God. Here, I’ve achieved things I only previously believed, hoped I was capable of and I’ve been surrounded by love and warmth to a depth and degree I never imagined existed, not the least of which through the gift of my daughter who was born here. This place has been my cross and the working-out of my redemption, my bitterness and my land of milk and honey. And yet it’s not so on the surface. Not at all. The thread which weaves my little story in and out of God’s greater one is intimacy; without it, this is just a place and these are just people and this is just a job and that struggle is no failure of mine and that success just another notch on my resume. The point Justin Lewis-Anthony makes is not only that we’ve vaulted the wrong image, not only that there is no bucolic Bemerton parish (…add to that list Dibley, Mitford, or whatever parish Downton’s in, for that matter), but that these delusions mustn’t be searched for. I take his point as a good one: there’s a disease in our church-ness, convincing us that church is supposed to be entirely gentle and calm and peaceful and lovely. The provocative comedian Eddie Izzard described it in this way: “Nowadays, Church of England is much more ‘hello’, ‘how are you’, much more of a hobby-type. A lot of people in the Church of England have no muscles in their arms,” Izzard carried on in a routine, traipsing about on stage like a wimpy, dorky priest. This is ruining our churches. We really don’t know how to engage our world and get out there, get messy. (For Exhibit A, I’d introduce into evidence the line-drawing of Chicago’s Church of Our Saviour – that bustling urban parish where I served as curate – hanging in my office. The sketch doesn’t include the apartment buildings behind the church nor the ones across the street, from which vantage point the drawing is made, nor does it include any hint of cars and people on Fullerton Parkway, nor anything that might tell you it sits squarely in a densely populated section of a major city. No, in this drawing, there’s an expansive lawn, no neighboring flats and, most beguiling, trees are sketched in where the rest of the city would, otherwise, be.) This is ruining seminary formation, as well; too many folks are running from the demands of their busy, hectic, professional lives into what they think is a simple and peaceable job, that of a priest, and how nice it’d be to live and pray and eat in a seminary community for three blissful years. As it turns out this, too, is ruining our churches. In the absence of bold, entrepreneurial, faithful leadership, we know what to expect. Taking Lewis-Anthony’s words as an indictment of our failure to truly grow congregations and do evangelism – a consequence of our inability to re-thinking priestly ministry – we are guilty as charged. Eliot comes so close, let me say, to breathing George Herbert, describing his “intimate tone of speech”, picturing him surrounded by those “whom he knew personally.” Yet even in this there’s separation, a removal, the kindling of what becomes, in others, romanticization, delusion. Perhaps it was the Englishness which Eliot came to treasure and, in time, adopt or that he was commissioned to write a critical piece about Herbert but, nevertheless, it strikes me as odd that there’s such a remove from the real lived experience of George Herbert – analysis so devoid of intimacy that Eliot, in a sense, furthers the delusion, imagining “homely” homilies preached to “rustics.” Once vaulted there, Herbert resides permanently in the pantheon of the classics, rendering him as untouchable and statue-like as, to us Americans, George Washington is still. What’s really standing in the way of growing the church is that we are downright afraid of the hard work involved in becoming the Body of Christ, the intimate and vulnerable work of becoming really human, really broken, really redeemed women and men who know themselves to be living out the story of God’s salvation. That description probably sums up the character of George Herbert, but we’ve become so distracted with the graven image, our own projected delusions. In his time Herbert took what he had – language – and used it in decidedly novel, penetrating ways. Language is what we all have, in fact; it’s the only thing we possess to express that which resides within. Of late, we’ve tried hiding behind the status quo and Christendom, but that’s falling apart. We’ve tried High Church or Low, chasubles and copes, ashes to go on street corners, but the world has said it doesn’t care about our wardrobes or churchmanship even while it may be amused by our gimmicks from time to time. What instead people seem to be searching is a lived story of redemption, experienced and expressed in the intimate truth-telling of real human persons. Realizing Herbert’s legacy should’ve been that of a man who knew, intimately, his own wretchedness and potential and one who knew, in turn, how to express with authenticity that place where God’s divinity meets our humanity, sans gimmicks, it’s all the more painful to admit that we’ve participated, we’ve directed the future of this particular illusion. There is, indeed, a world of difference once we leave behind the graven images of cloistered garths and expansive studies; of bucolic parishes, whether Bemerton or Dibley or Mitford; of simple, blissful lives we’ll never be fortunate enough to have or find, though we may try and keep trying. There is a world of difference when we realize that the only possibility of resurrection is found in that kingdom planted within, and that the road to unmasking that mystery takes us straightaway through our humanity, indeed, demands that we become fully human, intimate with our joys and pain, our pride and anguish, our failures and achievements, our Crosses and our Easter Days. In this day in which none can hide behind pietistic pabulum, and which we, Jesus followers, ought no longer even if we may, no one wants our distorted signs and broken symbols, our treasured relics which speak confusion and, at times, pain to the world beyond. I won’t be so audacious as to stake a claim for what others want, but what the world certainly needs is our utterly true self, presented as a vulnerable and substantial offering, a sign of what new life looks like: intimately wedded, like the disciple whom Jesus loved, resting on the very heart of God. Again, for the first time in a long, long time, maybe ever, we’re coming to terms with this George Herbert, the only reason he’s made it through the ages.